Advertisements have come a long way from traditional newspaper printing to highly sophisticated online ads with mind-boggling animations – all in order to carve out that special niche in the customer’s mind. The root objective of an advertisement whether it be offline through modes such as newspaper prints, magazines, large hoardings, and banners or purely online, is to ignite an interest for a company’s product, service and offerings or its brand in general that can stay in the consumers mind for some time and push him to make a purchase. With online advertising, the best part is that the target audience is not limited; it crosses global boundaries and thereby allows your business to reach across a large horizon. Already most of you who might have heard this term might know that Google’s platform for advertising enables Google online ads through Google AdWords. There are a bunch of tips and tricks here that can maximize the sales potential through an increased number of clicks. These are typically PPC or pay per click ads which generally show up on the sides of the web pages whenever you type some keywords on the Google Search Engine. This is overseen by Google AdWords platform that brings advertisers in connection with the publishers. Facebook is the present day largest social networking site where you have loads of friends with whom you are connected all across the globe and the list does not end here – you have colleagues, professors, clients and so many people in your network. It is a great platform for anyone to advertise. Facebook ads can come in multiple forms such as marketplace ads, promoted posts that work on the basic principles of expanding the base of your fans and followers, sponsored stories and something known as FBX or Facebook Exchange. Facebook ads, especially FBX is a great marketing tool which considers your web surfing details and creates a niche for you by loading product suggestions that suits your tastes; of course, this is based out of your prior purchase history or web surfing behavior. For those of you who might not be aware, Bing, another largely popular search engine like Google, also facilitates something similar to AdWords known as Bing Ads Services. These are typically banner ads which form part of Google’s large display network portfolio such as Gmail, YouTube etc. The advertisement may contain videos, content as well as pictures. 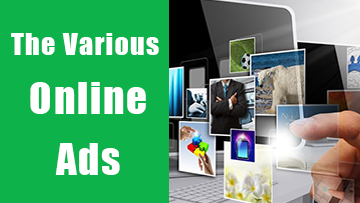 Everyone who has had some experience with any online transaction is it shopping or carrying out a financial transaction or simply searching for something just for readable content are familiar with these types of ads. Banners ads are picture based pieces of advertisement that you can find anywhere on the site you are looking at – it could be at the top or the sides or may be right under the content towards the bottom of the page. A lot of blogging or web communities and often news related sites contain these sorts of ads the most. These ads vary in terms of design, functionality as well as dimensionally. These ads are really one of the most strategic advertisements available. They operate solely based on your past purchase or browsing behavior on the web and show up a specific set of advertisements when you visit another web page. The information of your visit to some page is stored in the form of cookies and is used at a later point of time. These ads have really high efficiency and conversion rates as they tempt the user to visit a website where they have high chances of making a purchase. 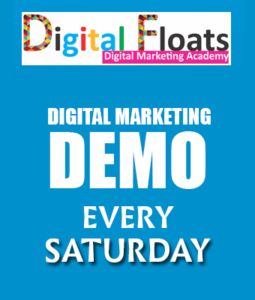 These are flash design aided simple online ads which generally employ intuitive components that logically and visually attract potential customers. Although one of the most common forms of ads, this type of ads are still one of the most strategic advertisements one can see. In these days which high end and sophisticated smart phones with almost everyone, a lot of graphical content is getting supported by most of the low range Android smartphones too. This makes it easier for advertisers to reach out to a large audience through mobile ads while at the same time exposing them to graphical and visually appealing content that is customized for a mobile view.